A few weeks ago, my computer’s battery broke. I stupidly left my computer on when I went to Dhampush, the battery ran down too low, and we couldn’t revive it. New Macbook batteries cost close to two hundred dollars here, and I wasn’t ready to spend that much when I could get a “third-party” one for 40 dollars in the US. Before all this happened with my computer, I had been talking to my parents about sending some medicine from home that isn’t available here, so once I realized I needed a battery as well, we decided to the get the package process rolling. They were going to send everything through Fedex. However, once they started inquiring about the process, they learned that Fedex doesn’t send batteries because of their lithium content. Since I wanted the other stuff they were sending, I told them to forget about the battery and send the rest of it anyway. But my mom was determined to get that battery to me, so she decided to send the package by regular mail. She didn’t realize that the post office in Kathmandu is a black hole for packages. Once we found out she had sent it through regular mail, I just knew it wouldn’t come through. 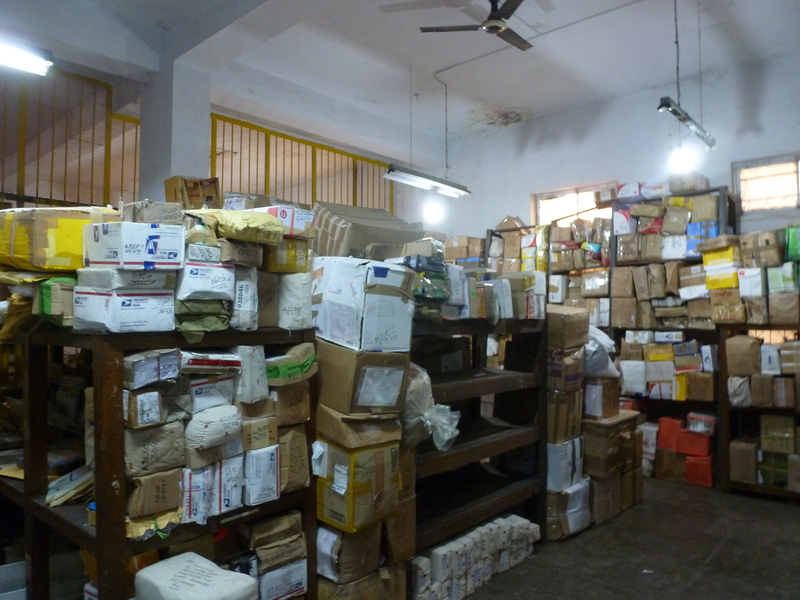 Still, we went to the post office in Kathmandu last weekend to see if anything had come for me, but alas, nothing. I walked into their storage room, and there was a huge pile of battered, half-opened packages haphazardly thrown into one corner. I lost all hope. So I guess the postal service in Nepal isn’t as bad as I thought, or maybe the gods were just looking down on us this time. Anyway, thank you mom and dad! I love you guys. Before I came over here, I got a call from the Gallup Poll. I don’t usually respond to polls because the ones who call us are often funded by the far right or the far left, but Gallup is supposed to be pretty objective. They asked me a lot of questions about being a young person in the US, about college, about how the economy is affecting me, etc. They then asked if they could send me a follow up questionnaire. I said yes but told them I would be leaving the country. I gave them my new address but didn’t expect anything to arrive. Yesterday, to my disbelief, a letter from Gallup arrived! Someone offered me 100 rupees for it (about 25 Nepali rupees more than a US dollar), but I just couldn’t part with it.